Whether you decide to have a big party to celebrate, or stay in for a quiet night with the family, chips and dips are always a great way to ring in the New Year! Here’s a list of more than 25 of our favorites recipes to give you inspiration. 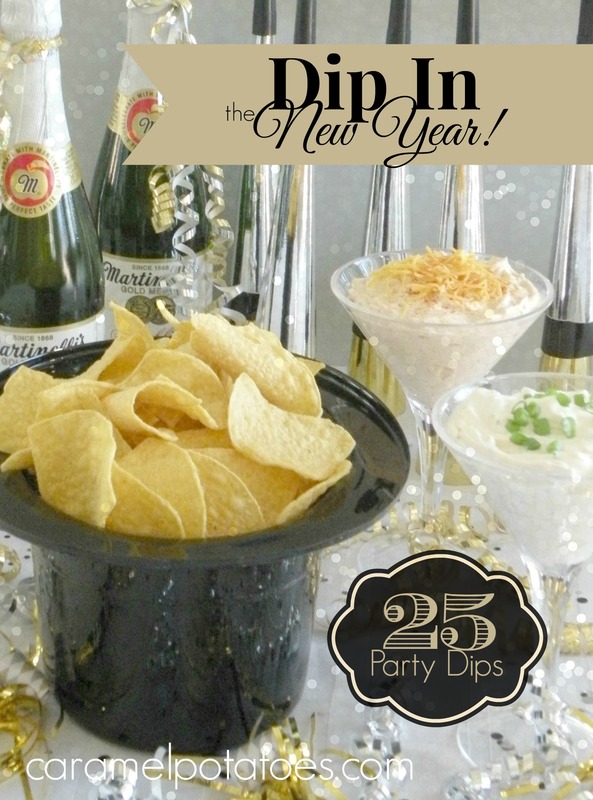 No matter which you choose, you’ll make a big statement with this Chips and Dips New Year’s Eve Style presentation! So hard to choose. So far I decided on one Sweet (Pina Colada dip)served w/ fruit & ‘Nilla Wafers and one savory (Bacon Dip)served inside crispy potato skins or steak fries.